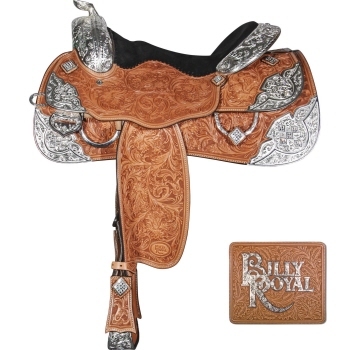 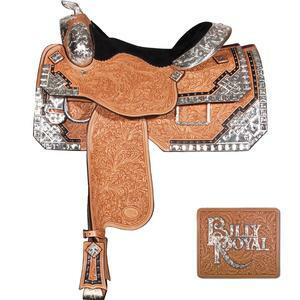 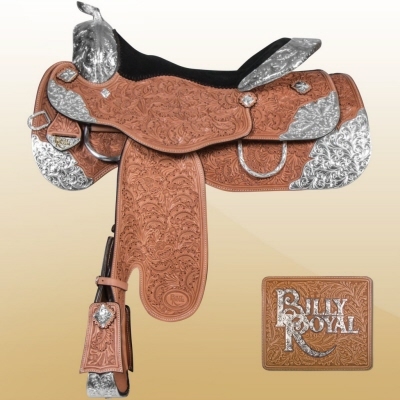 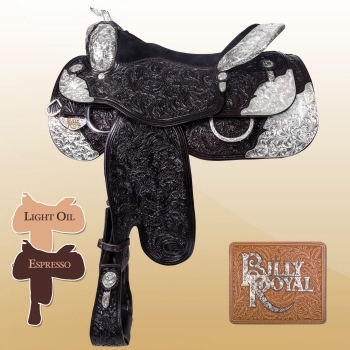 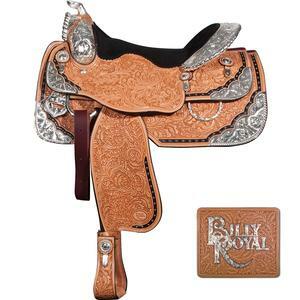 Billy Royal Western Show Saddles made of Grade A super quality durable and supple leather built on lifetime guaranteed trees and finished in every detail to a quality level rarely achieved in saddle making. 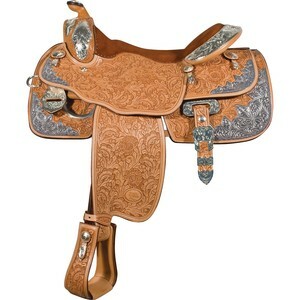 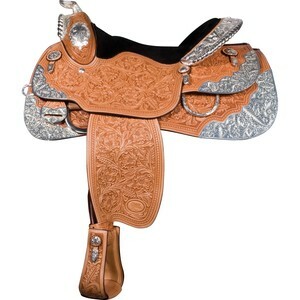 Saddles are stocked in Sterling Silver plated hand engraved trim. 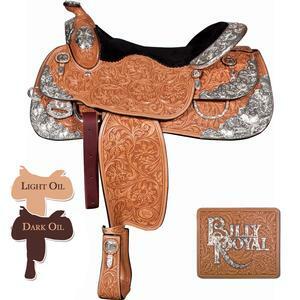 All seats are carefully hand shaped to put you over the centre of balance of your horse with as close contact as possible. 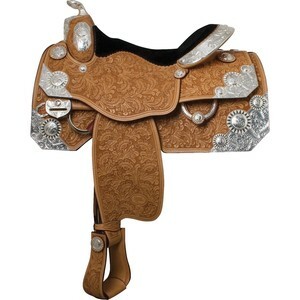 The in-skirt close contact cutout rigging further aids the rider in achieving better contact.